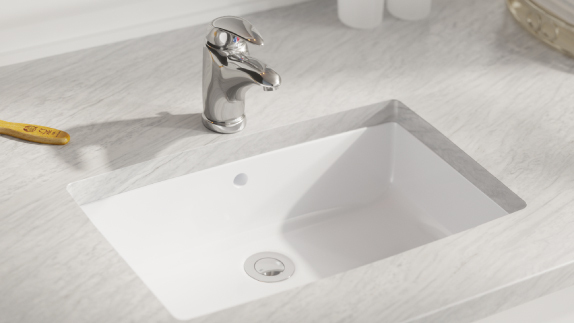 There is nothing ordinary about the porcelain sinks offered by MR Direct. 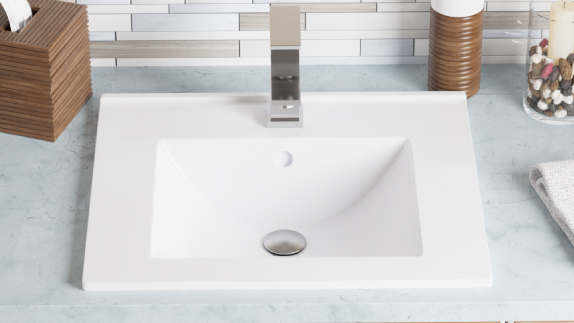 Our formulation uses some of the highest grade clays available and our manufacturing techniques go above and beyond what is standard in the ceramic sink industry. Our clay is fired three times, glazed three times, and finished with a fine paint that creates a brilliant gloss as well as extra protection. 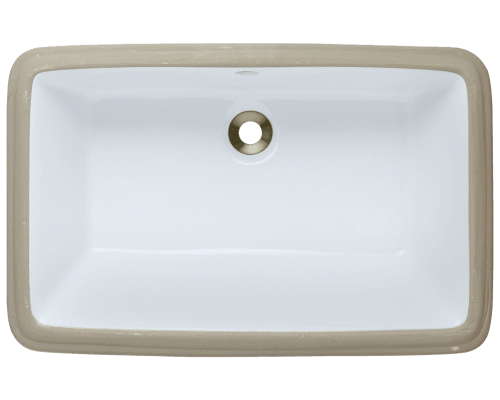 The result is a vitreous china sink. MR Direct porcelain bathroom sinks are designed in three installation formats. 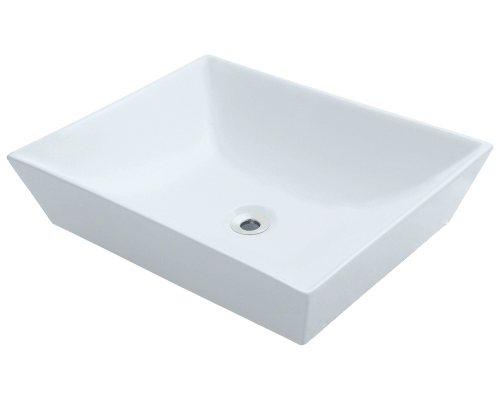 Many models are designed as undermount porcelain sinks to be installed in a flush, positive, or negative reveal. We also offer several vitreous china topmount sinks. 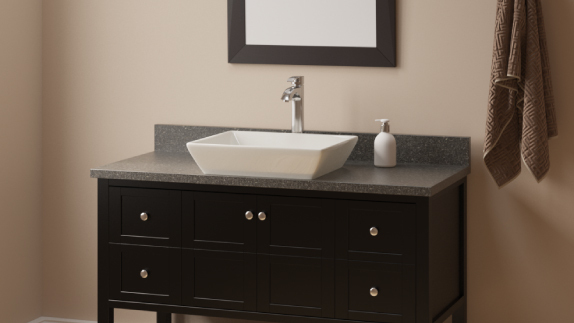 Perhaps the most popular are our porcelain vessel sinks. 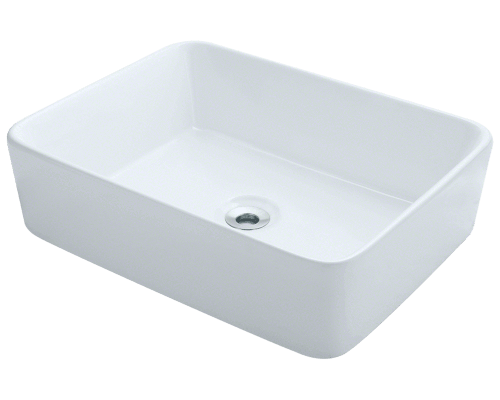 All styles are available in a choice of a white or bisque finish. Some models are offered in black. 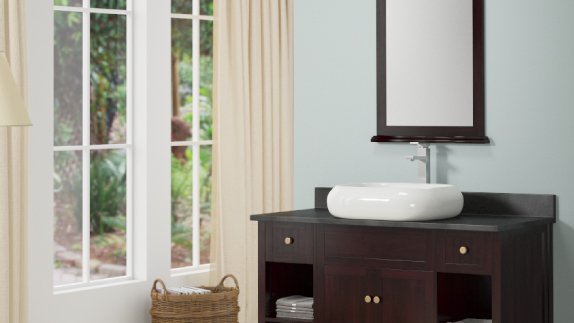 Regular cleaning with a mild soap and water is typically sufficient maintenance of vitreous china bathroom sinks. Harsh abrasives are to be avoided. The sink can be occasionally sanitized with a bleach solution, and scuffs can be easily buffed out with baking soda and water.